Curation. It's a buzz word these days, but what does it really mean? The dictionary defines it as: "to pull together, sift through, and select for presentation" or to "edit". A fashion magazine editor is a curator, he or she chooses what they think is appropraite or just what they like to present to their readers. In my case, it means making choices every day for my job as well as for myself. As an admitted media junkie I take in tons of content and information that needs weeded through, edited or curated and then I share my favorites. This is a job? This is fun? Yes! Well, for me it is and it's a way to present my ideas visually as opinion. This is what I like, this is what I think is cool and etc. Does anyone care? Maybe. Hopefully? In this day and age, you and I are our own "brands" so presenting the stuff we like is in essence curation. If you Tweet to your friends something you like you are curating. Enter the Curators Conference by Portables on September 5, 2012 at Walter Reade Theater at Lincoln Center as a kick-off event for New York Fashion Week. 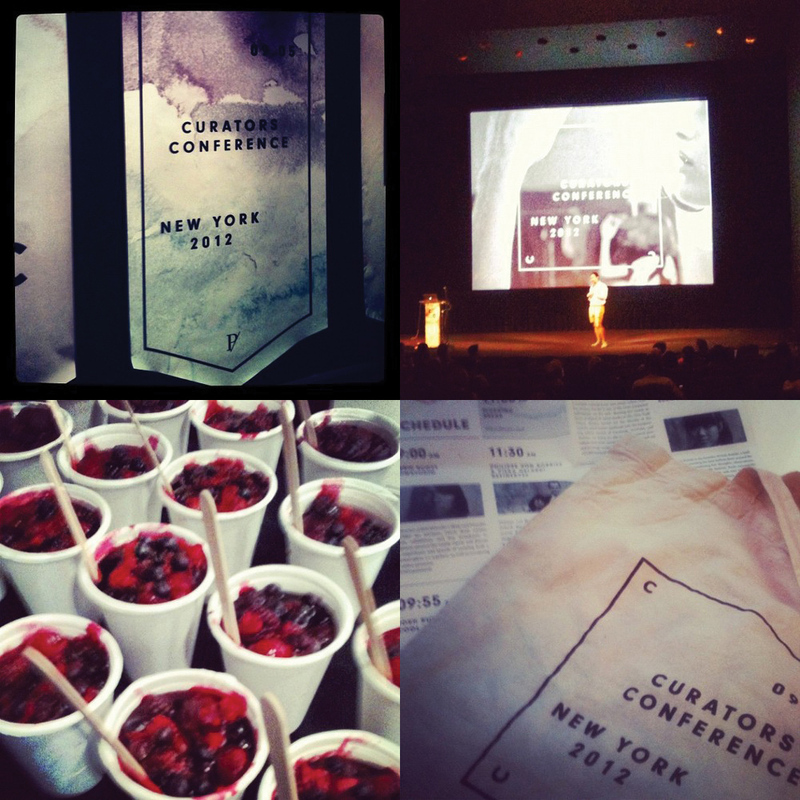 I truly enjoyed the day-long event listening to a range of curators that touch on culture, fashion, art, film and more. The day flew by (this does not always happen at a conference) with small breaks filled with great coffee and yummy treats. Thirty minute presentations by Susie Bubble, Soraya Darabi and refinery29 were my favorites but everyone brought their own insight and formula to how they curate and create. The end result for me? Inspiration.